Not charging enough what can you do? Do you sell your services based on time or value? Are you a niche or generalist business? Is your sand timer running out? The fundamental flaw with many company’s new business strategies is that they do an intensive burst of communications to create some engagement and interest with their target customer, and hope that is enough to generate sales. Sadly they will be dissappointed. It’s not how marketing works. Think right now of your top 3 favourite brands of car or perfume. It’s no doubt easy to think of 3 but maybe harder to think of 4, 5 or 6. So the question is, are you one of your target audience’s top 3 brands? If not, they won’t remember you (and therefore won’t buy from you). It’s about saying the right things to the right audience AT THE RIGHT TIME. You have to be present for them at the right time – when they have an issue, challenge or problem that your product or service can solve. Think of it this way – every time you communicate with your target audience, you refill the sand timer – and from that moment on, it begins to empy. If you haven’t communicated again with your client; reminding them who you are and how you can help them BEFORE the sand timer runs out, then when they need your services, they will have forgotten you. Many businesses have peaks (and therefore troughs) in their marketing communications activities (for instance, a a new product launch) and then things tail off. It’s great to have a burst but you need to continue it consisently. Remember the sand timer? Well this burst approach will ensure it runs out before your next big push and that means the client has forgotten you. This is a tough one. There are lots and lots of channels you could be using to engage with your clients but my advice is find the few (that your clients use) that you can use well and consistently – and focus on them, rather than getting sidetracked by the latest marketing tool, new piece of software or channel. Less is more and keep it simple are 2 thoughts that spring to mind here. If you want to keep the sand timer filled then plan ahead. This is why a marketing strategy and a marketing plan (and a content plan) is crucial – it tells you the best ways to reach your target audience and how & what you are going to say to them, and when. This ensures you are consistent with your audience communications, and you create messages that resonate with them (not just sales messages but genuinely adding value). Most of my target audience knows this (after all it’s what they do for a lot of their clients) but it doesn’t mean they do it! Often my job is to hold a mirror up to the client and remind them what they already know! I often say, I am not teaching you anything new, just reminding you what you already know and holding you to account to do it! 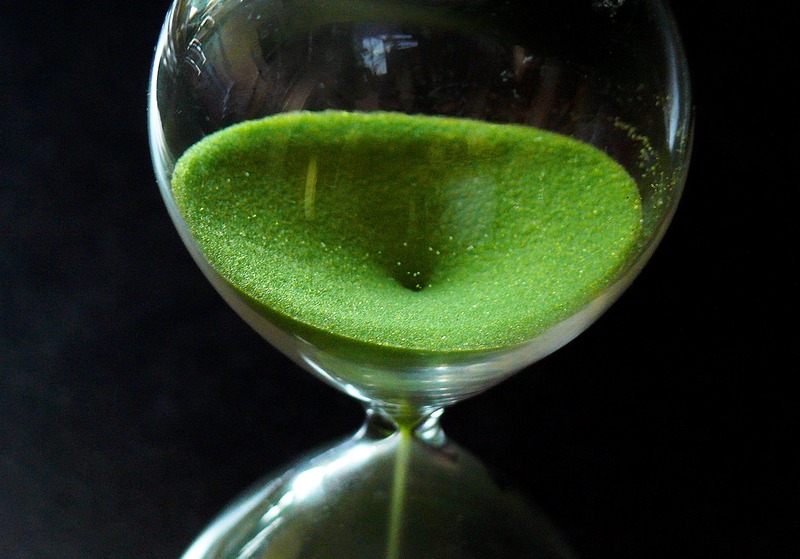 Let me end by asking you a question, what do you do to keep your prospect’s sand timer filled so they never forget you, and consequently you are there when they need your service? Drop me your thoughts by leaving a comment. On March 18th my new Client & Account Management Mastery Course launches. When The Waters Turn Red, Will Your Clients Be There To Pull You Out? After 6 years of extremely hard work and slow growth, I needed to work out a way to either make my company work or get out. Rob helped me think through what I wanted and how to get there. It was great to have someone who has been in a similar situation to talk to about these issues. We have since been able to grow and are now very profitable and thriving, I cannot recommend Rob highly enough and could not possibly manage without him. I'm giving you 10 of those secrets in a FREE eBook. Copyright text 2019 by Dacosta Coaching.